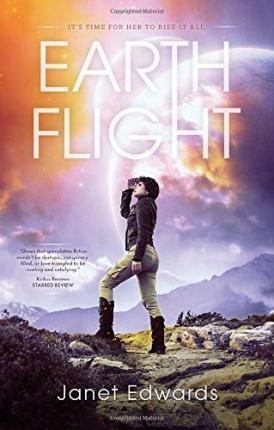 Janet Edwards is the author of Earth Girl and Earth Star. As a child in England, she read everything she could get her hands on, including a huge amount of science fiction and fantasy. She studied mathematics at Oxford, and went on to suffer years of writing unbearably complicated technical documents before deciding to write something that was fun for a change. She has a husband, a son, a lot of books, and an aversion to housework.